New comments can be posted on our blog page by clicking here. Comment:You're in Ukraine! I pray that God will continue to prepare the way for what He wants to do! Das-ve-danya!! Comment:Praise God, you made it safe and sound and you are starting to settle in, you must be excited knowing that God is this new adventure with you...I'll be Praying for you. Comment: We miss you guys already, we are praying for you often and know that God will use use richly. Comment: Wow! I am so excited for you and the people of Ukraine! May God give you strength and success in spreading the Gospel. He will never, never, never leave you or forsake you....We love you guys!!!! Comment: You are in my prayers! I don't think I will ever forget you,and I am excited about the way God is using you guys!!! Comment: Great to have you and your family at Shelby Bible Church. We look forward to hearing all that the LORD has in store for you and your wife. We love you and are praying for you. Comment: I know it's been a while since you all visited Holt, but I'm still praying for you all. Don't give up! Comment: Your website is great and user friendly! Al & I are very excited to be a part of your church family to help send you off to the mission field. It's good for us to see you how you wait on the Lord and trust Him and to watch the Lord bring it to you. Your family will be missed. God Bless your family! Comment: Your February News Letter was very informative! Just wanted you to know I am keeping your family in my prayers! God Bless You! Comment: May God bless you as you await your financial support. It's been an amazing ride watching how He has blessed your time here, and is preparing you for your mission. Know you are loved, prayed for, and will be deeply missed. Comment: Thanks for coming to our missions conference at Plainfield. I wish I had more time to discuss the details of what you are going to be doing, and how you got involved in teaching over there. I will pray for you, that you get over there soon, and can hit the ground running. Scott S.
Comment: I love your website. You are (and have always been) such a blessing to me. I love you all so much and are keeping you "Only a PRAYER away". May God RICHLY bless you and your ministry for Him. Comment: Great web site - is that Joel singing? We pray that God will continue to bless and use you as you move into a new ministry, but really the same ministry (teaching and training others to be used effectively by God). May you find complete fulfillment in the new work you do. Comment: I am confident that the Lord will allow you to be of help, encouragement, and care as you all continue to use the gifts the Lord has graciously given you. Please know you are loved, will be prayed for, and greatly missed. Comment: OUR PRAYERS ARE WITH YOU DAILY. WE ARE SO BLESSED TO BE YOUR PARENTS. BE SURE OF OUR LOVE FOR YOU ALWAYS. Comment: I love your blog. Hope I can learn to use it. Great to be on your team. Comment: We will miss you, at the same time, your heart for the gospel and your desire to minister to the the people of Ukraine is a great encouragement. You are in our prayers. Comment: What an outstanding website. It is very informative, loved the photo's and news updates. We continue to lift your ministry up daily in prayer. Marina and Jonah are very faithful in prayer for all of your including Cedar. Comment: Thank you for being a blessing to our family! 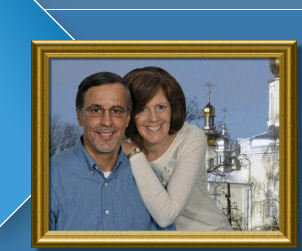 We will be praying for you and the people in Ukraine that will be blessed because of your ministry! We will miss you so much! Comment: Great website! Looking forward to reading Kellie's blog as soon as the dust settles. Praying for you all. Comment: What an exciting mission! Rick and I will keep your family in our prayers! Comment: Very nicely done. I am praying that God will bring in the final support that you need. I still think you should add a "Support Us Now" link somewhere. Comment: Praise God in the sale of your house. He is amazing! Comment: You guys are the best - we love and miss you all so much! We are praying daily for you and your new ministry! Comment: I'm so excited for you! You know we'll be praying. Comment: We're praying for all of you. Comment: We are praying for you. Comment: What a joy to serve along side of you both! Praying for God's provision for your ministry. But know you will all be missed.